Kim Dotcom says he knows who ordered the shutdown of his company and related sites. The Megaupload founder informs TorrentFreak that he has insider information which reveals that none other than Vice President Joe Biden directed attorney Neil MacBride to target the site. Biden is known to be one of the best friends of former Senator Chris Dodd, who's now heading the MPAA. Soon after Kim Dotcom was released from custody he pointed the finger at Washington, arguing that the Mega investigation was a ‘gift’ to Hollywood, facilitated by corrupt Government forces. In the months that followed Dotcom and his team researched the motivations of the U.S. Government which resulted in some revealing findings. While Megaupload’s founder is cautious about revealing too much early on, he says he has information which shows that it was none other than Vice President Joe Biden who called for the Megaupload takedown. 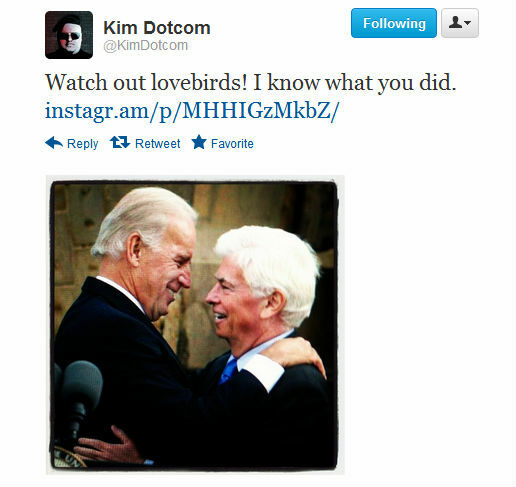 “I do know from a credible source that it was Joe Biden, the best friend of former Senator and MPAA boss Chris Dodd, who ordered his former lawyer and now state attorney Neil MacBride to take Mega down,” Dotcom told TorrentFreak. Dotcom previously hinted that Biden was involved in the Megaupload case through one of his tweets. According to Dotcom the Mega case was discussed June last year in a meeting in the West Wing of the White House. “After we received information from an insider we scanned the White House visitor logs for all meetings of Chris Dodd and studio bosses with Joe Biden and Obama. They are publicly available on the White House website,” Dotcom told us. 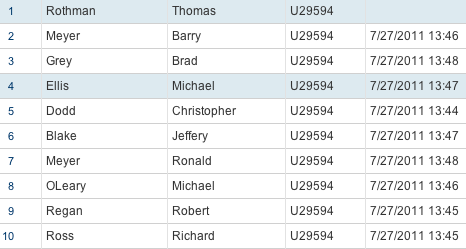 An overview of the visitors that were present at this meeting is listed below. Barry Meyer – CEO Warner Bros Entertainment, Brad Grey – CEO Paramount Pictures, Michael Ellis -Managing Director MPA Asia Pacific, Chris Dodd – CEO MPAA, Jeff Blake – Vice Chairman of Sony Pictures Entertainment, Ronald Meyer – President Universal Studios, Michael O’Leary – MPAA Senior Executive Vice President for Global Policy and External Affairs, Robert Regan – (?) and Rich Ross – Chairman of Walt Disney Studios at the time. The information above does indeed suggest that the Megaupload case was discussed at the highest political levels last year. Noteworthy is also the MPAA’s lobbying disclosure statement of last year which includes money spent on lobbying the office of Vice President Joe Biden. What exactly Biden’s role has been, and whether that’s problematic, remains to be seen. However, Dotcom is convinced that corrupt elements in the U.S. Government brought Mega down. More on this will be made public in the near future. “At the appropriate time we will release what we know. The whole Mega case is quite the political thriller,” Dotcom concludes.